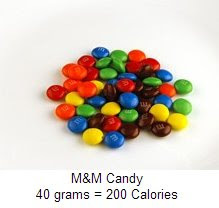 Today's post is going to be a bit technical about diet and calories. Calories are what make you lose and gain weight. If you need 2,000 calories a day to maintain your ideal weight, and instead you consume 2,500 calories a day, you will gain weight. 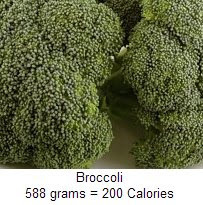 If you eat 1,500 calories, instead, you will lose weight. Up to here, I think we all know and understand this. What you should always focus your attention on is the source of these calories: are they from carbs, proteins or fat? 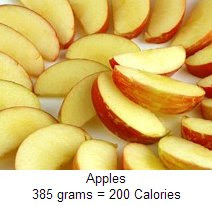 As you can see from these pictures, 200 calories can look and taste very different, and your goal is to give your body the best calories you can find. These are some important numbers to remember: 40% of your total daily calories should come from proteins, then 30% from carbs and 30% from fat. Proteins, carbs and fat are not the same, in fact, a gram of carbs has 4 calories, a gram of proteins has 4 calories but a gram of fat has 9 calories! Also, very important for those of us trying to shed any belly fat, try to eat a mostly-protein breakfast. Proteins help lose more weight in the abdominal area, and when a study compared a toast and juice breakfast group vs. a eggs and yogurt breakfast group, the latter lost a lot more weight than the former, especially belly fat. Additionally, the body works harder to digest proteins than it does to digest carbs and fat, so proteins burn more calories and they make you feel full longer. Yikes! 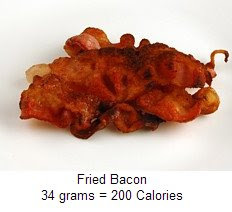 Don't ever eat only 1,000 calories per day!?! The brain alone needs at least that many calories to function. Consult a physician about the right number for you. Ah, if only everyone actually ate only the 2,000 calories per day! We wouldn't be in such need of diets, but I'm guilty, too. Thanks for the info - interesting to have the visual. They had a health fair at my son's college orientation - one of the tables showed what a pound of fat looked like - yuck! The Amelia Rose necklace has arrived. It has traveled thousands of miles from NYSpender to Daisy. There is a satirical play called "Six Degrees of Separation." The gist of the plot is a smooth talking con artist (Will Smith) ingratiating himself into a wealthy WASP family, pretending to be the son of Sidney Poitier. Somehow this sophiscated group is charmed by him and accept his outrageous story. There was a scene where Stockard Channing, the family matriarch, stated that humans are only separated by six degrees of separation. When I saw this play in the early 1990s, I thought it was an interesting idea. Now I believe it to be a fact. Look at all the people that were linked by this contest, 129 of them! And their relatives, friends, etc. We are all linked together, much more than we think. The necklace is more delicate than it appeared on the blog, for this, I enjoy it even more. I had originally thought it was too ritzy, to be worn only with fancy attire. The lemon quartz and topaz are not so showy that one must wear it with a fancy dress. A simple, short-sleeved white shirt and jeans would be fitting as well. I love its versatility. Most of all, I hope it brought us all together, regardless of the number of degrees of separation. When I wear it I'll think of all of you and the different yet same people we are and the places we live.